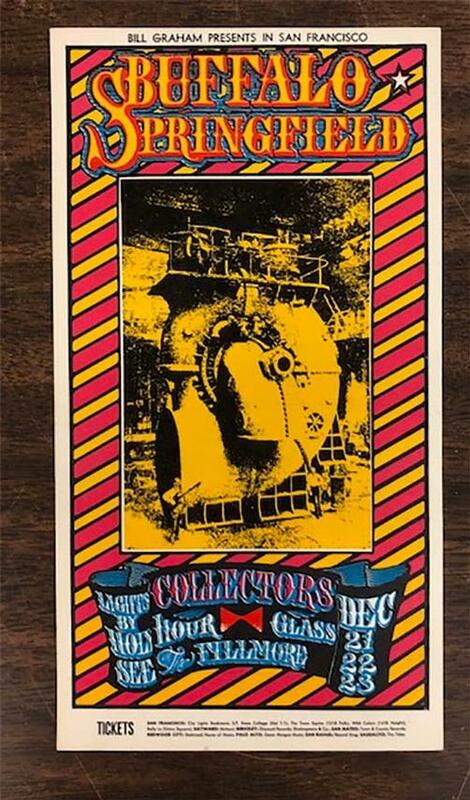 Original concert handbill for Buffalo Springfield at the Fillmore in San Francisco, CA in 1967. 3.75 x 6.75 inches on card stock. Art by Stanley Mouse and Alton Kelley. One word written in pencil on verso.